Harry (Apex, NC, United States) on 26 March 2019 in Cityscape & Urban and Portfolio. 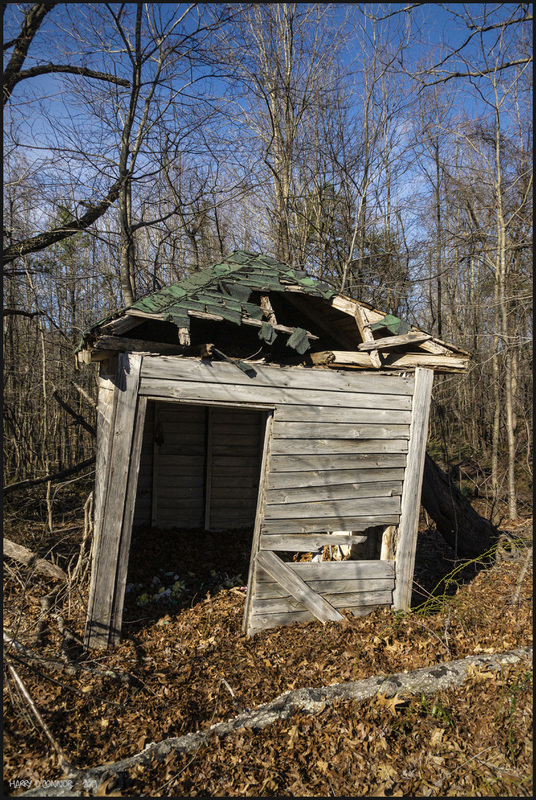 No, this wasn't an outhouse, though it was little bigger than one. There was some junk on the floor, but no indication of what the shack was built for. A rather pathetic looking shack !!! Wonderful image .The leaves o the ground..slowly gobbling up the shack ! We can but wonder . . and quick about it ! So attractive for photographers ! And then he sinks through the earth! Beautiful clarity under warm light! The blue sky adds a nice contrast to the trees. Nice wood grain patterns as well. Not much time left if there is a big wind. Well worn down over time. Interesting subject.